Located in the small town of Ionia, MI, Steele Street Brewing opened in January of 2016. 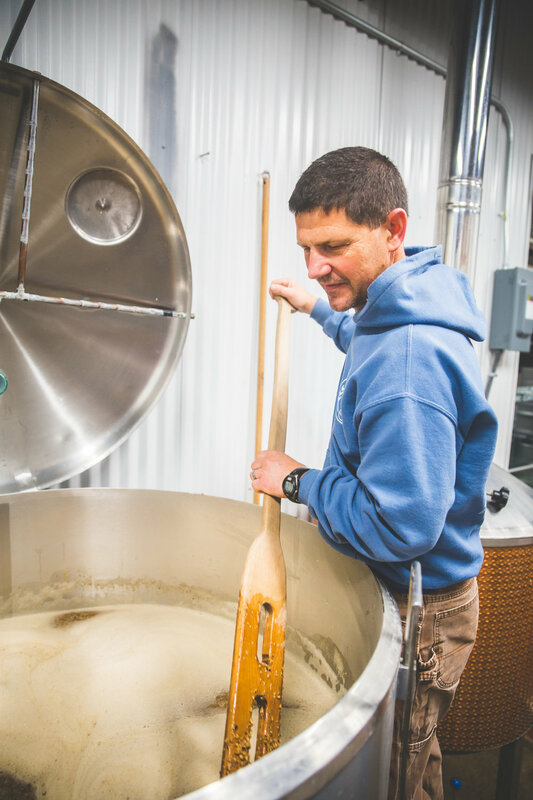 Owner and brewer Pete Sanford converted his building from an old dry-cleaner's. Through a number of floods, restarts, and headaches, his brewery was in full swing after sitting on the place for nearly eight years. "I was in no hurry," Sanford, a former hoof-trimmer says, "I wanted to be sure my building was absolutely ready, that my beer was absolutely ready, and that my food was absolutely ready before we opened the doors." With up to 16 beer taps including two cask, a select number of in-house fermented wines and homemade sodas, S.S.B. offers a wide variety of options. "I wanted to provide the highest quality product that we could." Sanford said, "I want to serve everyone in the community. We are all about the beer but we are also a pub, a public gathering place, first and foremost." S.S.B. makes specialty artisan pizzas and paninis on all homemade dough and bread, with select homemade sauces to choose from, so it's no wonder Steele Street is sought after for more than just the beer. Winning the "Most Promising New Business of 2016" at the Ionia Chamber of Commerce Awards, S.S.B. has become a fast local favorite. Their clientele, however, spans much further. S.S.B. services people from all over Michigan and the mid-west. "We get beer enthusiasts, home-brewers, pizza lovers, campers, and people just passing through," said Sanford. "The goal has always been to create a comfortable atmosphere for folks to enjoy good beer and conversation. I couldn't be happier with the response we've gotten." "But we are not in the business of trying to take over the beer world," Sanford continued, "we're just trying to make good beer and good food for our community."